The U.S. Department of Justice announced today that CareAll Management LLC and its affiliated entities (“CareAll”) have agreed to pay $25 million, plus interest, to the United States and the state of Tennessee to settle a relator’s allegations that the home health provider violated the False Claims Act by submitting fraudulent and upcoded home health care billings to the Medicare and Medicaid programs. The settlement resolves conduct that allegedly occurred between 2006 and 2013 where CareAll overstated the severity of its patients’ conditions in order to increase the billing of, and in turn the reimbursement for, services that were not medically necessary and were rendered to patients who were not in fact homebound. The company had allegedly predetermined its desired profit margins and billed government health care programs accordingly to hit those targets. The wrongdoing was claimed to have permeated all branches of the CareAll system throughout Tennessee. United States ex rel. Gonzales v. J.W. Carell Enterprises, Inc., et al. was filed in 2012 by Toney Gonzales a former CareAll nurse and director of services for the Knoxville branch that was allegedly demoted for refusing to authorize unnecessary home health services. Gonzales also claims to have received no bonuses from the company as bonuses depended upon keeping up an increased level of government payor billing. CareAll provides medical and non-medical home care services that are designed especially for the elderly and include: skilled nursing services, speech therapy, physical therapy, occupational therapy, home health aides, medical social services, homemaking tasks, companionship, training and supervision, and geriatric case management. Home health care therefore covers a wide range of services for patients with non-terminal health problems. One of the conditions of participation in government health care programs for home health agencies is that each patient receive a patient-specific, comprehensive assessment that accurately reflects the patient’s current health status and includes information that may be used to demonstrate the patient’s progress toward achievement of desired outcomes. The comprehensive assessment must identify the patient’s continuing need for home care and meet the patient’s medical, nursing, rehabilitative, social, and discharge planning needs. 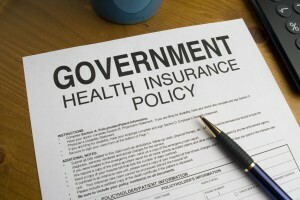 Medicare pays home health agencies a predetermined base payment. The payment is adjusted for the health condition and care needs of the beneficiary. The $25 million represents CareAll’s second settlement of allegedly fraudulent conduct under the False Claims Act within the last two years. Previously, in 2012, the company paid over $9 million for allegedly submitting false cost reports to Medicare. As a result, the company agreed to be bound by the terms of an enhanced and extended corporate integrity agreement with the Department of Health and Human Services-Office of Inspector General in an effort to avoid future fraud and compliance failures. Due to the healthcare field’s susceptibility to fraud and abuse, and the federal government’s significant financial stake, the government has looked for additional tools, like the False Claims Act, to combat fraud. Since January 2009, the Justice Department has recovered a total of more than $23.1 billion through False Claims Act cases, with more than $14.8 billion of that amount recovered in cases involving fraud against federal health care programs. An individual who brings a successful False Claims Act case may share in part of the recovery obtained by the government. In this case, Gonzales will receive $4 million as his share of the recovery.